The Construction Equipment Association has announced that the next Plantworx construction equipment show is moving to Peterborough. Planworx 2019 will be held at the East of England Arena and Events Centre from 11-13 June. Organisers are predicting the 2019 event will be 40% bigger at the East of England Arena site, which has permanent indoor and outdoor exhibition facilities. The last two shows were held at the Bruntingthorpe Proving Ground, near Lutterworth and attracted 400 exhibitors and over 13,000 visitors. The East of England venue is a permanent exhibition centre that has hosted other ‘big machine’ events such as agricultural equipment even LAMMA and Truckfest. 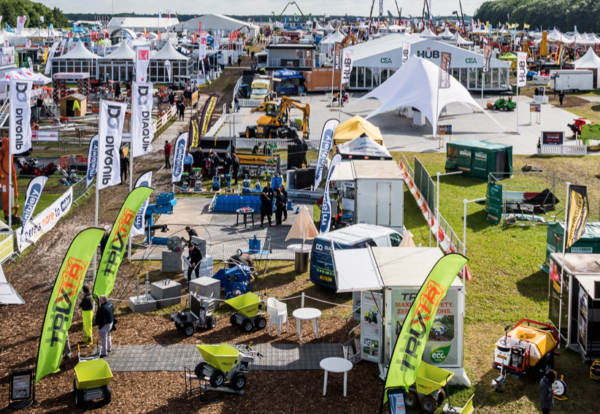 CEA chief executive, Rob Oliver said, “The last Plantworx show was blighted by the weather, so we were looking for somewhere that would provide a good opportunity for a better exhibitor and visitor experience whatever the weather.